A pan is arguably one of the most important pieces of cooking equipment you will ever own. 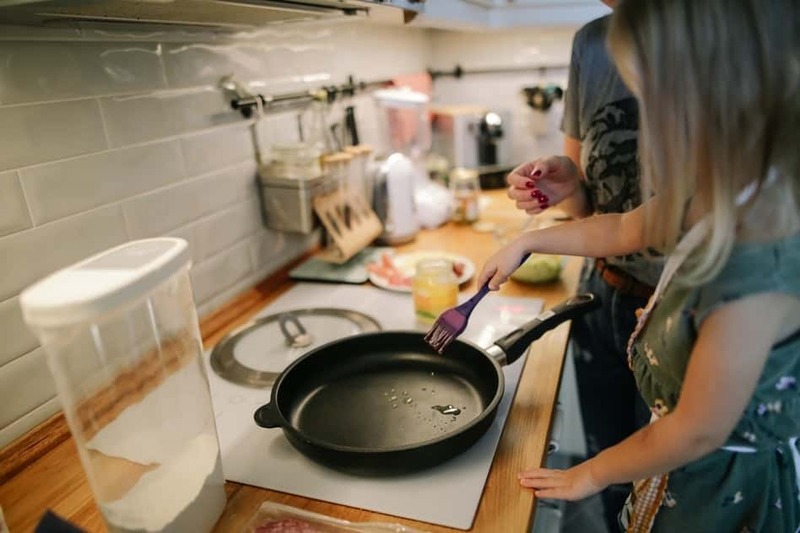 From caramelizing onions to searing meats, pans can handle so many different tasks that it would be near impossible to successfully cook a meal without them. Cooking with pans is quite simple but buying one can be bit more of a challenge. The world of cookware is vast and with so many different options available, the choice can be overwhelming. In this article, we will tackle the french skillet vs fry pan debate. We will thoroughly discuss the main features that make each pan unique, their similarities and differences, as well as where they succeed and where they fail. Our review of the best skillets. Best Fry Pans for Induction Cooktops. The frying pan is one of the most common pieces of cookware that you probably use on a day to day basis. They are incredibly versatile and can tackle various tasks that no other piece of equipment can handle. For instance, you probably reach for a fry pan before a stock pot when trying to make eggs or pancakes. As the name suggests, the fry pan was designed to fry various types of food at high levels of heat. 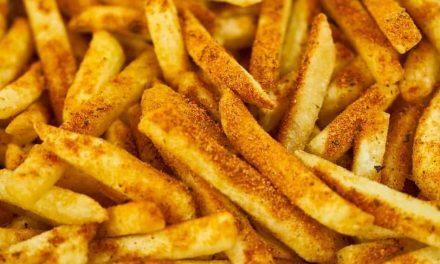 This is unique because it can give a dish a lot of the same tastes and textures of deep frying but without the excessive oil. 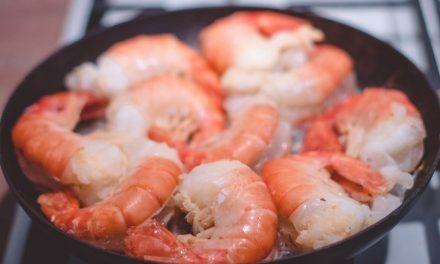 Additionally, you can also use a fry pan for searing and browning various foods, as well as sautéing in some cases. A frying pan has a few definitive features such as a flat bottom. The flat bottom is one of the most important features as it allows for even heat distribution throughout the cooking process. The even heat distribution is one of the most important features which is why a good fry pan has a heavy bottom and a high-quality aluminum or copper core. The last thing you want is your eggs to be undercooked in some spots because of an uneven cooking surface or a cheap heat conductor. Frying pans often range between 8 and 12 inches in diameter or 200 to 300 mm. Another important design feature is the lower sides that sort of flare outwards. The sides are an important and yet overlooked design feature of this type of pan. The outward flare of the side allows you to slide pancakes, omelets, and other foods off of the pan and directly on to a plate with ease. 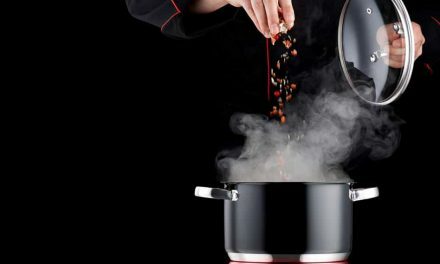 The flared slides will prevent the retention of steam which will speed up the cooking process by preventing the food from getting soggy. Sometimes these sides contain a lip on the edge that makes pouring sauces and reductions a breeze. Fry pans also feature a longer handle when compared to other pans and sometimes feature an extra grab handle opposite of the long handle. Unlike sauté pans, fry pans never come with lids. However, a fry pan can sauté just as good, if not better than a sauté pan. One of the most appealing aspects of a fry pan is the range of different options available. Traditionally, fry pans were made from cast iron which is still widely available today. Due to the robust and durable nature of cast iron, these fry pans are often found marketed towards outdoor cooking. Today, the most common options are stainless steel and aluminum. However, there are countless other options including nonstick coatings, copper, hard anodized, ceramic and more. They can also be designed to work on gas, electric and induction cookware. Best Non-Stick Frying Pans for Induction Cooktops. The French skillet is not all that different from the infamous fry pan. Some of the most common features between the two are that the French skillet usually has a long handle and the bottom is also wide and flat. However, there are a few subtle changes that can make all the difference when cooking. The French skillet is most commonly found in sizes ranging from 9 to 11 inches. However, it is not uncommon to see them sold in 8 or 12-inch sizes. Some call the french skillet a combination of a sauté pan and fry pan. This is due to the flared edges that resemble a fry pan and the depth that resembles a sauté pan. The sides are a bit steeper than a fry pan which makes the pan a bit deeper and allow for more food to cook at one time without burning or frying it. The sides flare out just enough so that you can toss, stir, and flip various foods in the air without the oil splashing and food falling out. While it isn’t standard for a French skillet to come with a lid, it does share some features with a sauté pan, making it a bit more common to find them with a lid if you prefer. French skillets are almost always made out of stainless steel with a copper or aluminum core. Even though it is rare, they can still be found with nonstick coatings. The French skillet was designed to cook various meats and vegetables with a focus on sautéing and browning the food. The French skillet is often more affordable than a fry pan but that can greatly depend on the materials and brand name behind the product. There aren’t any major differences between the two. However, the subtle differences which are unnoticed by some people can make a world of difference to others. There are many cooks who are much more comfortable sautéing and browning with a frying pan even though the french skillet was designed specifically for that task. Ultimately, whether you use a french skillet or a fry pan is a personal choice. This choice will greatly depend on various factors including the weight, size, design, and material of the cookware and what feels comfortable when you are using it. 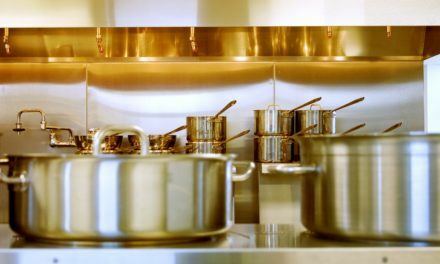 We hope this article helped you choose your next piece of cookware. There are many great dry pans and French skillets available on the marketing today. See also: Omelet Pan vs. Fry Pan.